India on Friday (July 15) successfullylaunched its latest communications satellite,GSat-12, aboard its Polar Satellite LaunchVehicle (PSLV). The nationally televisedlaunch took place at 4:48 p.m. local time fromthe Satish Dhawan Space Centre at SriharikotaIsland off India's southeastern coast. Organisation (ISRO) said at a post-launchpress conference. ISRO said in a statement it used a PSLV configuration with six strap-on motors, each carrying 12 metric tons of solid propellant, to place the 3,108-pound (1,410-kilogram) GSat-12 into a geostationary transfer orbit with a perigee of176 m 284 kilometer sand an apogee of 7,456 miles (21,000 kilometers). ISRO said GSat-12's liquid-fueled apogee motor would be used to place the craft in a circular geostationary orbit 22,369 miles (36,000 kilometers) above the equator, where it will be co-located with ISRO’s Insat-2E and Insat-4A satellites at 83 degrees longitude. ISRO said it was the 18th straight success for the PSLV, which normally is used to launch low Earth orbiting remote sensing satellites.The launch marked the second time in the PSLV's 19 flights — the first flight was a failure — that the rocket has been used to place a satellite in geostationary orbit. In 2002 the launcher placed a 1090-kilogram weather satellite in geostationary orbit. ISRO chose its dependable PSLV for GSat-2 following two consecutive failures — in April and Decemberof 2010 — of its more powerful Geostationary Satellite Launch Vehicle. 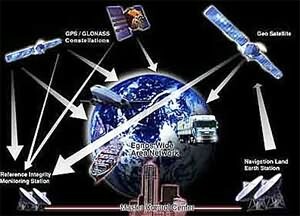 The mishaps, which destroyed a pair of communications satellites, left India with a transponder shortage. ISRO said in a statement that GSat-12, equipped with 12 extended C-band transponders “will partly meet the country's growing demand for transponders in a short turnaround time.” GSat-12 has a design life of eight years.